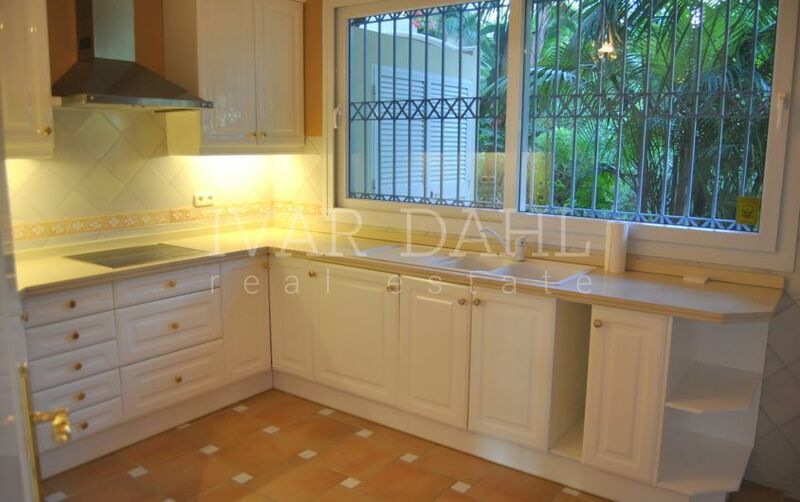 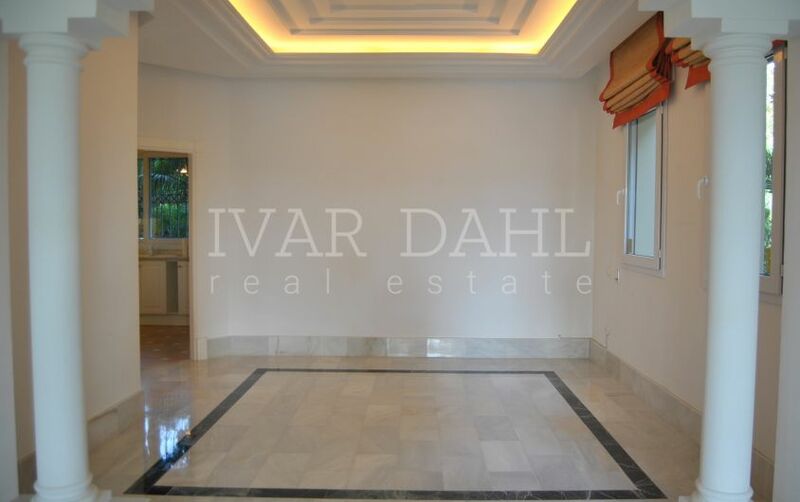 2 Bedrooms , 2 Bathrooms , 290 m² Built, 130 m² Interior and 160 m² Terrace . 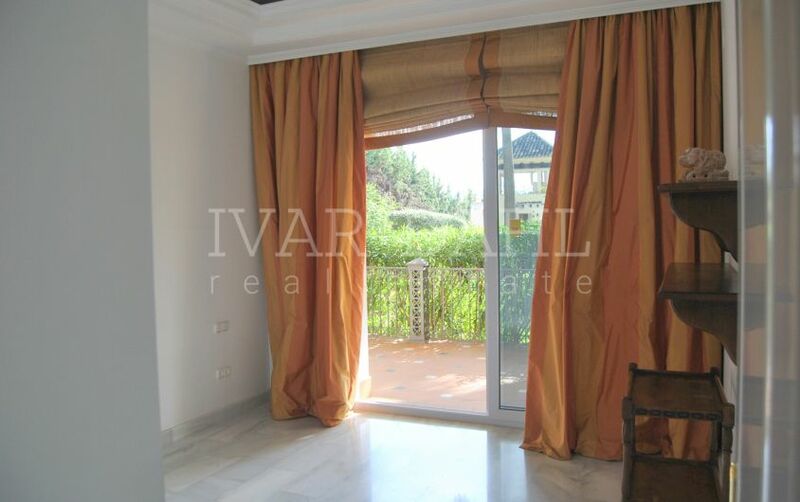 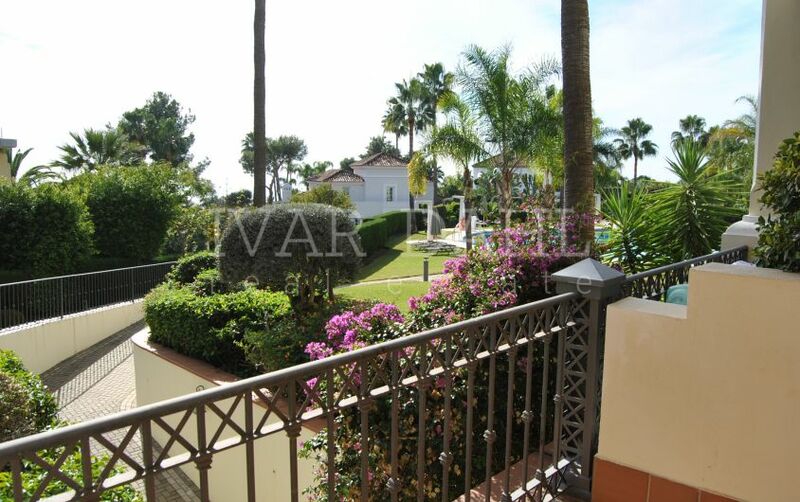 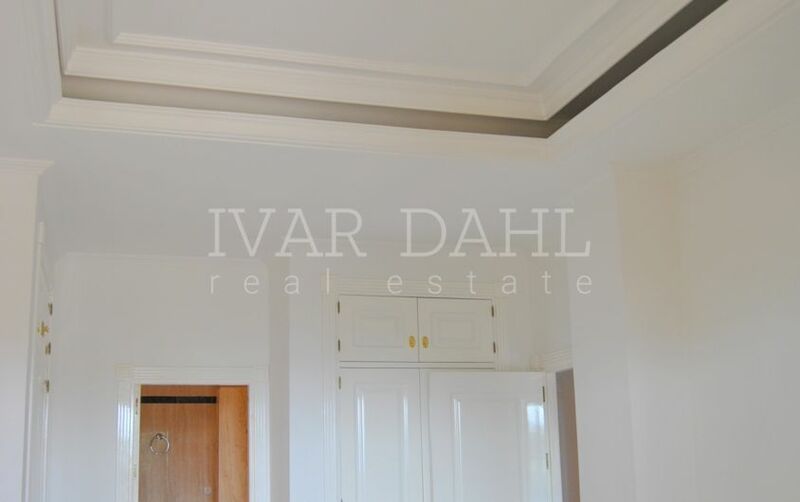 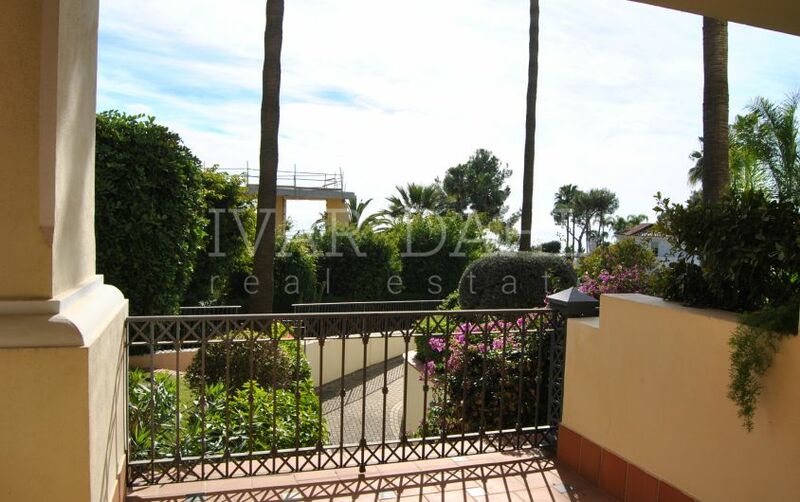 This elevated ground floor, corner apartment has southeast orientation and is located in Altos Reales, in a very private luxury residential complex with only 23 units close to center of Marbella. 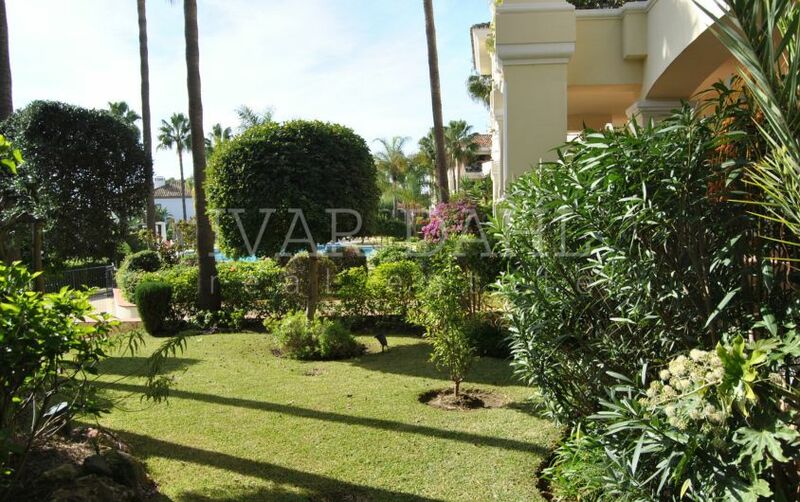 Beautiful community gardens and lovely pool area. 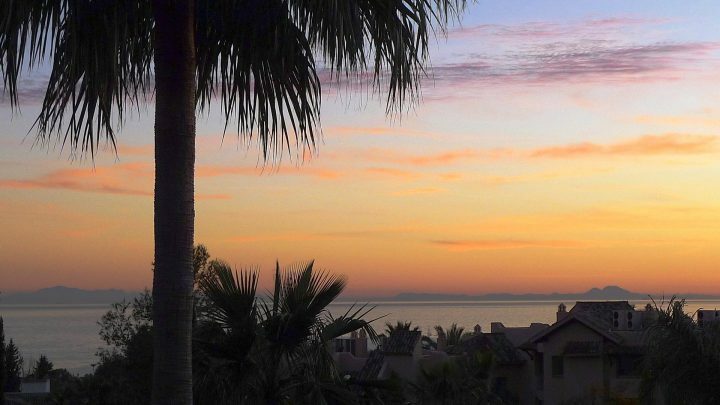 Concierge service during the weekdays. 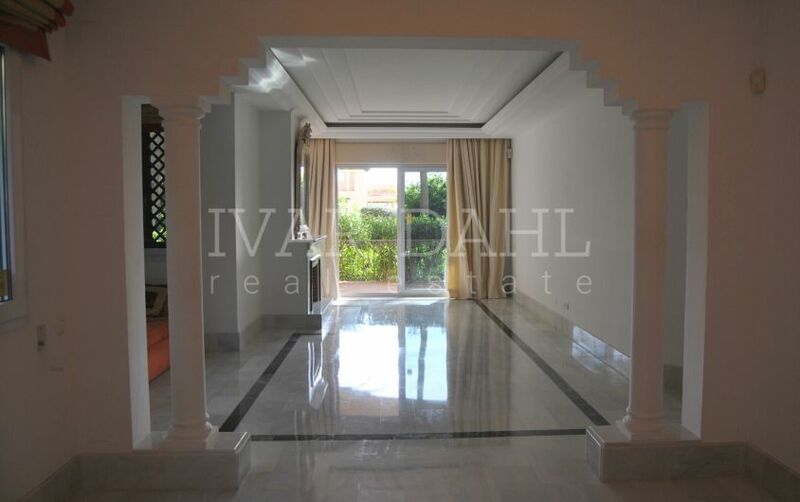 An entrance hall leads to a representative hall and from there directly to the elegant living room with open fire place and access to the covered, sunny, large terrace. 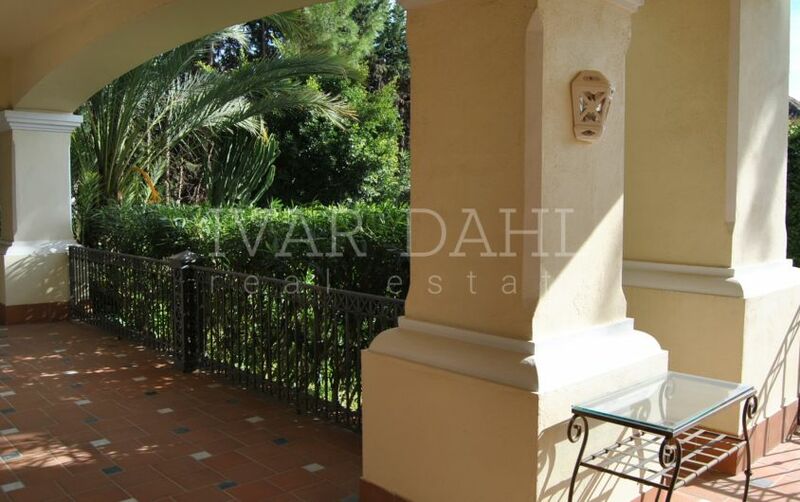 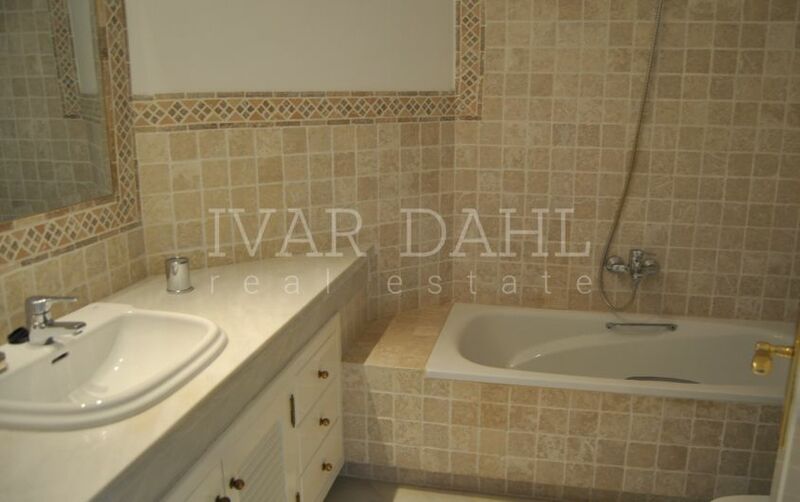 The property has an exclusive bright marble finish with decorative inlays. 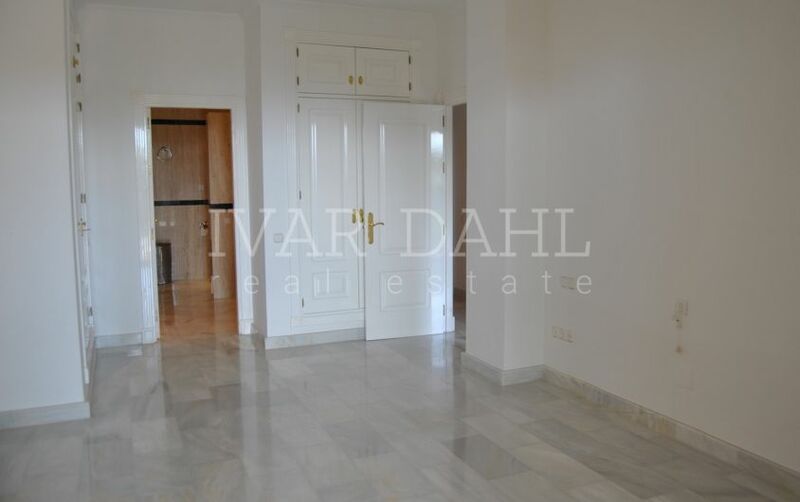 Furthermore, the apartment features kitchen with adjacent pantry, 2 bedrooms, 2 bathrooms, air conditioning warm/cold, floor heating, 2 underground parking spaces and 1 storage room. 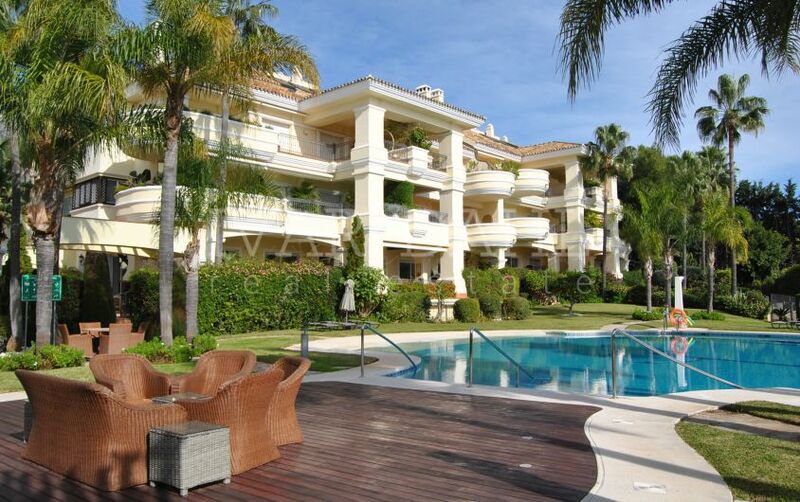 Altos Reales is an exclusive, sought after urbanization, located mountainside of Marbella’s famous Golden Mile. 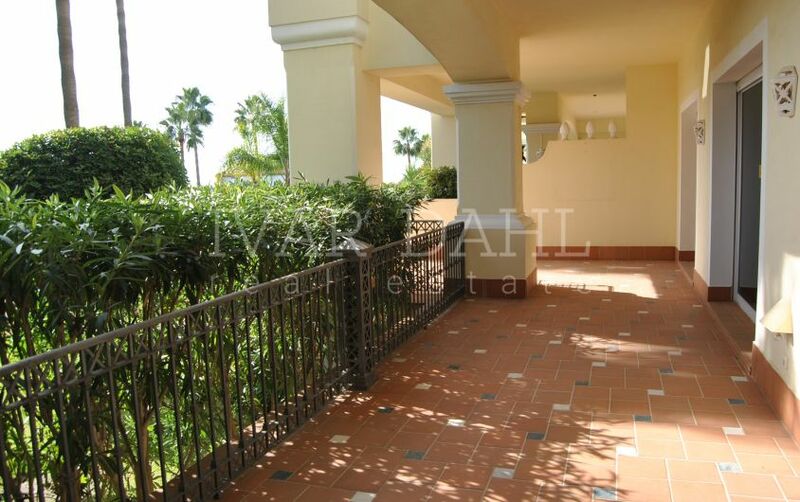 It offers to its residents privacy and security . 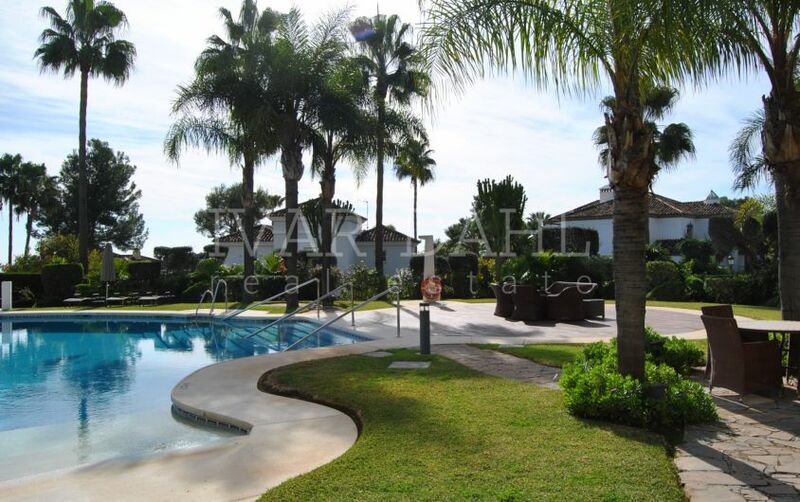 24-hours security, camera vigilance, night patrol, paddle tennis court, children’s playground. 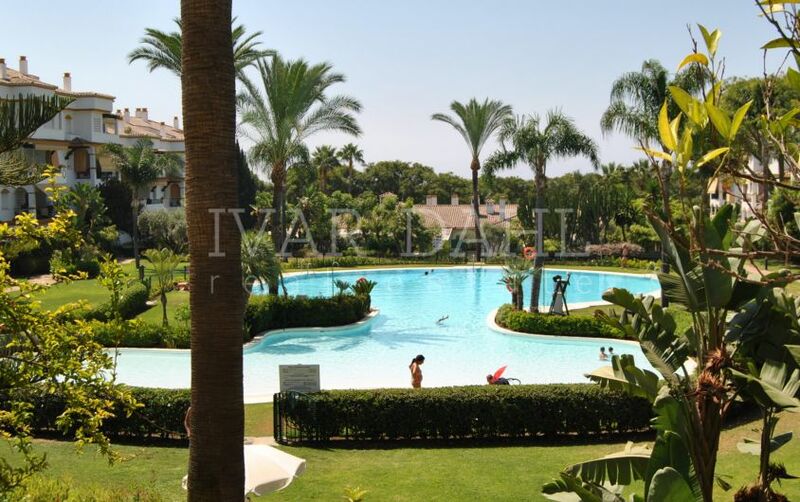 Please, send me more information about ref 5231, Ground Floor Apartment in Altos Reales, Marbella Golden Mile or similar properties.